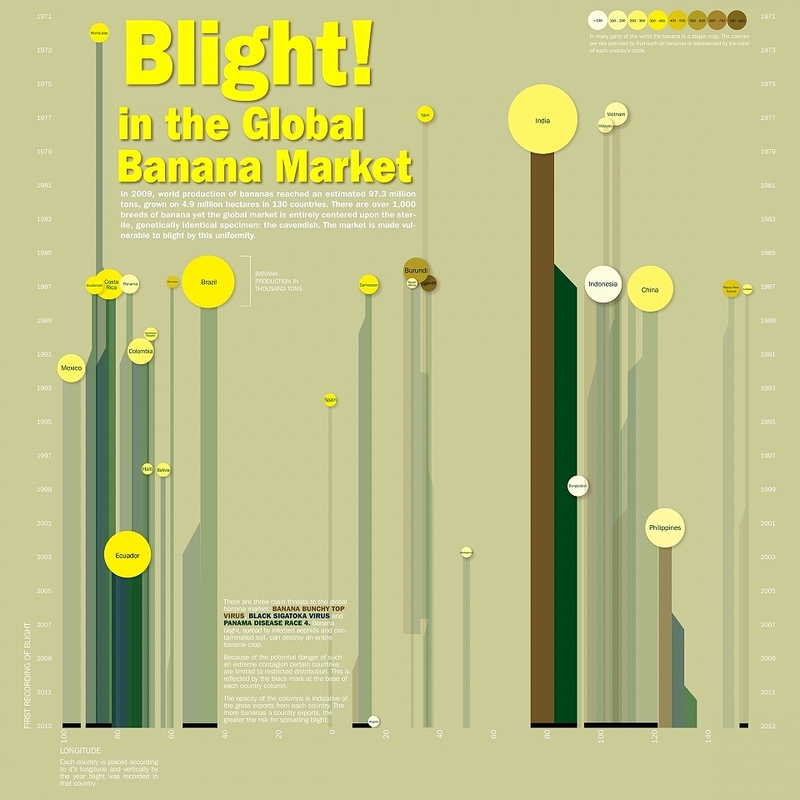 In 2009, world production of bananas reached an estimated 97.3 million tons, grown on 4.9 million hectares in 130 countries. 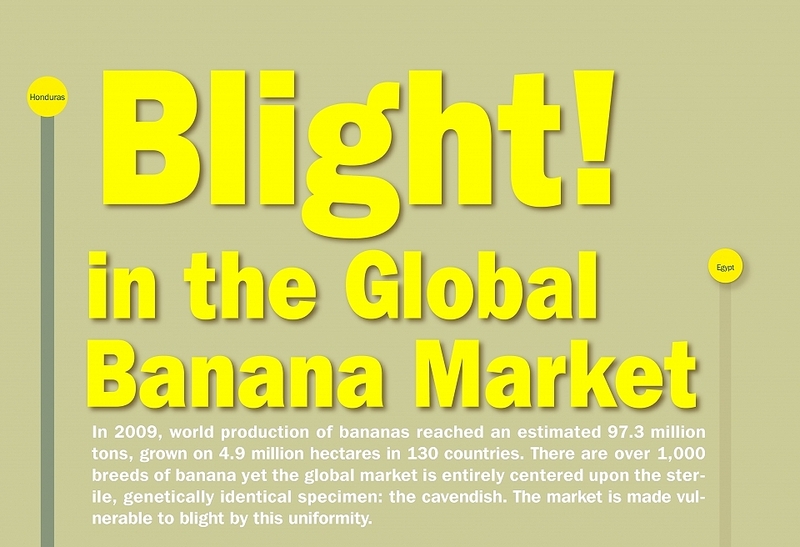 There are over 1,000 breeds of banana yet the globabl market is entirely centered upon the sterile, genetically identical specimen: the cavendish. 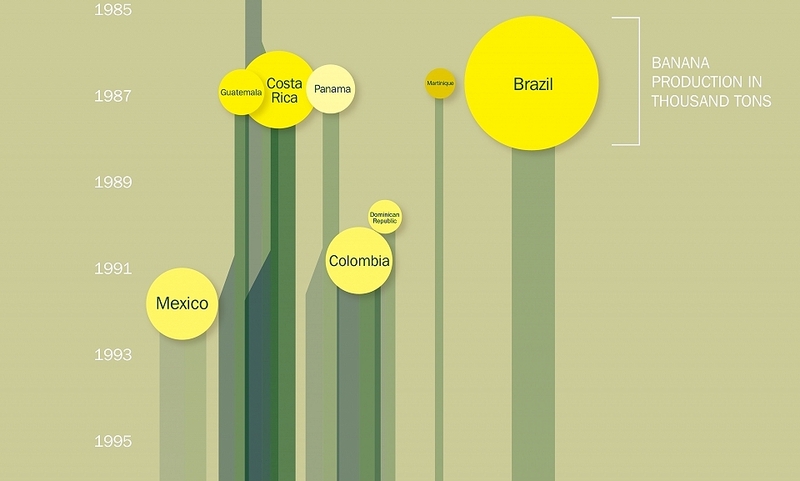 The market is made vulnerable to blight by this uniformity. 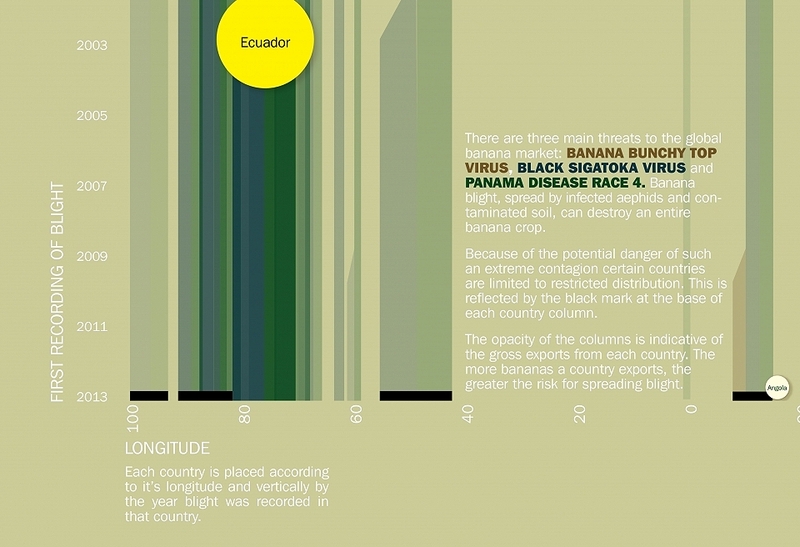 This graphic shows a timeline of when blight was discovered in each banana producing country, organized geographically.